Bockagh Hill is the 1336th highest place in Ireland. 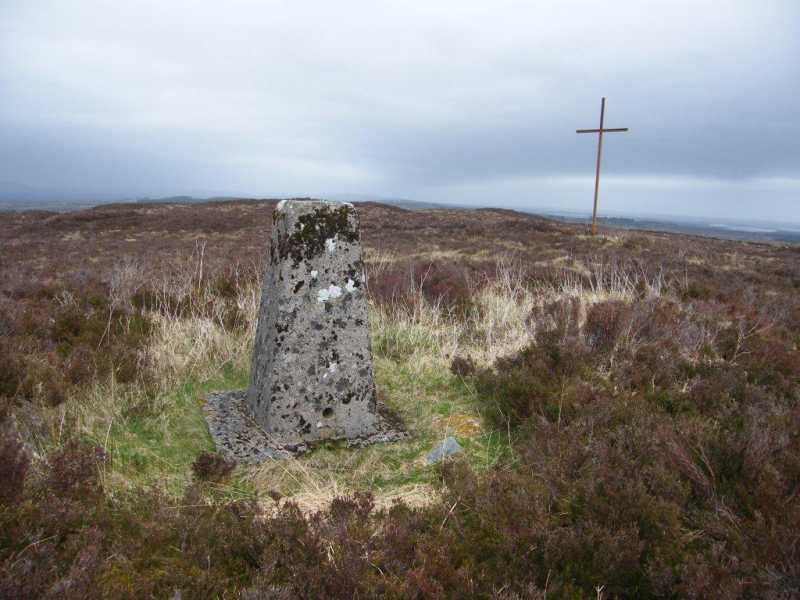 Picture from paddyhillsbagger : Bockagh Hill trig and cross. Picture: Bockagh Hill trig and cross. Despite only being a 5 minute drive out of Ballaghaderreen, Bockagh Hill has an air of desolation and loneliness about it. There were no tracks to the cross made out of railway lines and the ground was very uneven, boggy and full of heather (which would be tough in growing season). I don't think this cross is lit up at night!